Crate and Barrel of Northbrook, Ill., is recalling about 830 Josephine floor mirrors. The company has received three reports of the mirror glass becoming loose or separating from the wooden backing. No injuries have been reported. This recall involves Crate and Barrel’s Josephine floor mirrors, sold individually or as a set of three mirrors that can be hung vertically or horizontally. The mirror consists of a larger rectangular mirror and a smaller square mirror on wooden backing that measures about 16 inches wide, three inches deep and 90.5 inches long. The hangtag that came with the mirror has the number 215-037 printed next to the bar code. 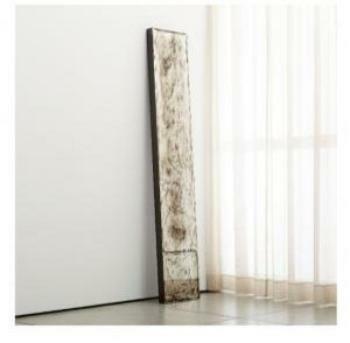 The mirrors, manufactured in Mexico, were sold exclusively at Crate and Barrel stores nationwide and online at www.crateandbarrel.com from December 2016, through February 2018, for about $450 for a single mirror and $1,250 for a three-mirror set. Consumers should immediately stop using the recalled mirrors and contact Crate and Barrel to arrange for a free replacement. Crate and Barrel is contacting all known purchasers directly. Consumers may contact Crate and Barrel at (800) 451-8217 from 7 a.m. and 9 p.m. (CT) Monday through Friday or online at www.crateandbarrel.com and click on “Product Recall” at the bottom of the page for more information.